Shortening of a muscle involves rapid contraction cycles that move the thin filaments along the thick filament. Each contraction cycle consists of five stages: attachment, release, bending, force generation, and reattachment. 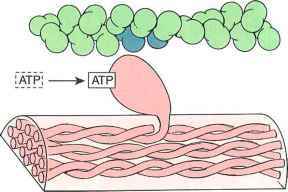 At the beginning of the contraction cycle, the myosin head is tightly bound to the actin molecule of the thin filament, and ATP is absent. This arrangement is known as the rigor configuration. The muscular stiffening and rigid ity that begins at the moment of death is due to lack of ATP and is known as rigor mortis. In an actively contracting muscle, this step ends with the binding of ATP to the myosin head. In this stage of the contraction cycle, ATP binds to the myosin head and induces conformational changes of the actin-binding site. 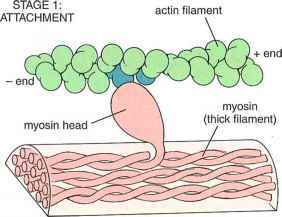 This change reduces the affinity of the myosin head for the actin molecule of the thin filament, causing the myosin head to uncouple from the thin filament. The ATP-binding site on the myosin head undergoes further conformational changes, causing the myosin head to bend. 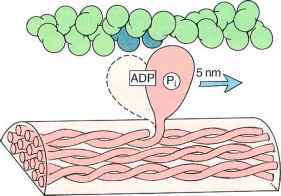 This movement is initiated by the breakdown of ATP into adenosine diphosphate (ADP) and inorganic phosphate; both products, however, remain bound to the myosin head. 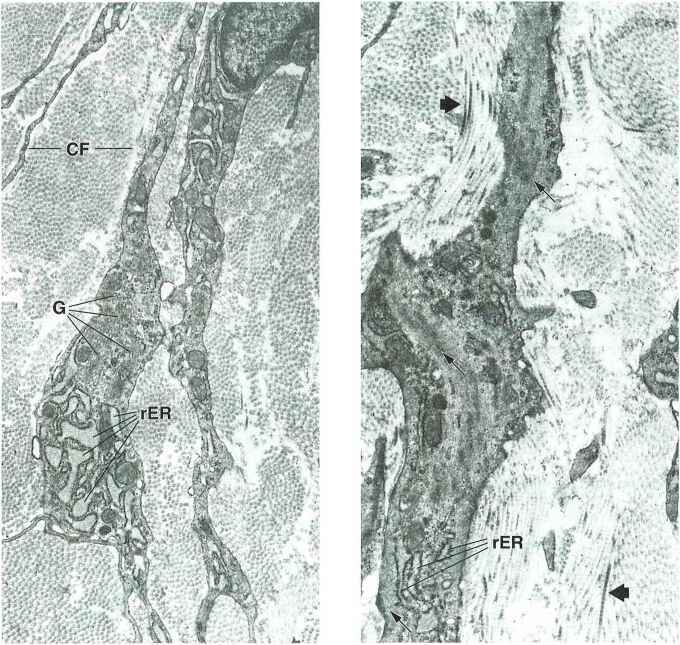 In this stage of the cycle, the linear displacement of the myosin head relative to the thin filament is approximately 5 urn.